Happy Memorial Day everybody. I'd like to take the time to thank all our brave service men and women who are fighting (or have fought) to defend the freedoms we Americans enjoy on a daily basis. I personally salute your bravery and sacrifice and also the sacrifice of your loved ones. Thank You... On another note: I'd like to post some art I did as commissions for the Spokane Comicon 2010. 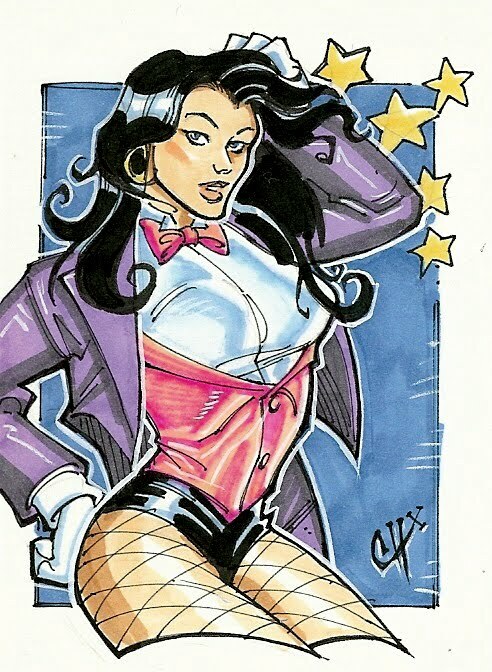 This a picture of Two Zatanna sketch cards and the SR-2 Normandy from Mass Effect. The Zatanna cards were captured with my Nikon Coolpix in my Hotel room at Spokane. I'm sorry they are a little out of focus and the coloring is yellowed, but I hope its better than a hot stick in the eye. I'm finishing up the the last two commissions right now and will be mailing them out tomorrow. I'll post tem when i'm done. Hope you enjoy! -Chad. Hey all, Its Friday the 21st of May and I'm off to Spokane for Spokane Comicon 2010. I'll be there at the opening tomorrow doing sketches, selling artwork and signing books. 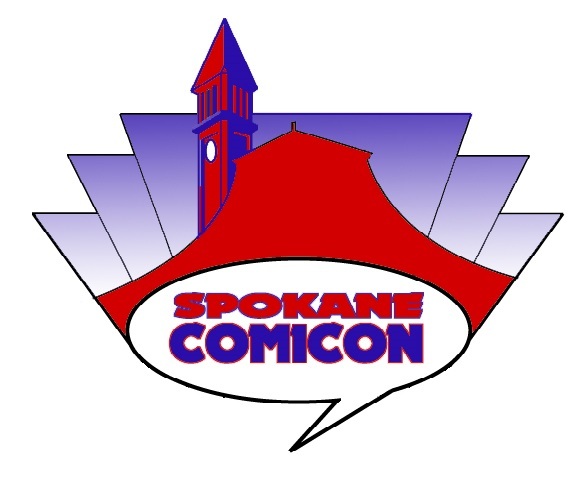 Go here for all the details: http://www.spokanecomicon.com/. Like free comic book day, I'll be having a contest fro a free sketch card and sketchbook. So if you are in Spokane drop on by and say hi! Hey Everybody, I have really exciting news! My Iron Man 2 Artist Proofs came in from Upper Deck. I am taking commissions on them right now. If you are interested in getting one; simply click on the link to Catskill Comics in the sidebar. My agent, Scott, will take care of you. 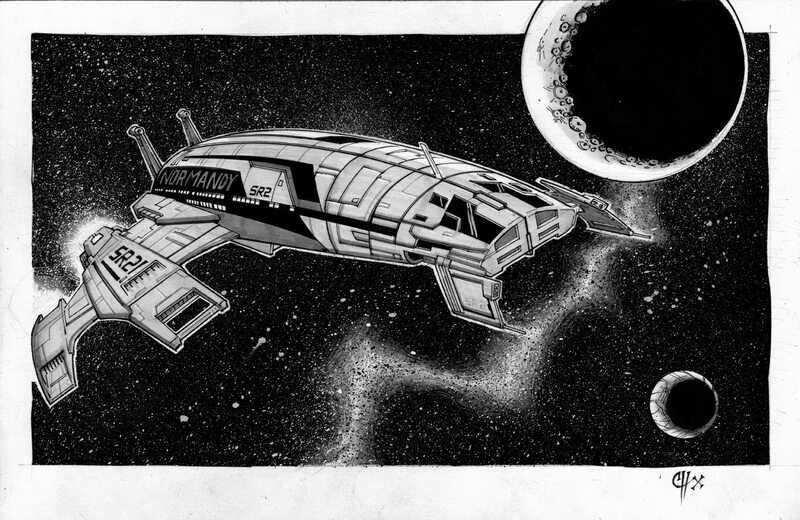 I have 14 left and will need to get them completed and approved by Marvel soon. So don't wait too long before you get yours. Also... DC solicited my first issue of Zatanna today for sale August 11th 2010! WOOT! Make sure you order your copy today! 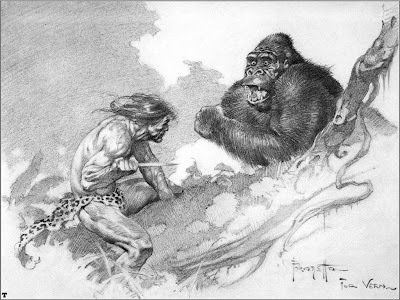 I know a lot of you must have heard by now that Frank Frezetta has passed away. You also have undoubtedly read a couple of sappy posts like this where all these wanna-be's, who have never met the guy, post about how sad it is. There is a reason for that. Frank Frezatta wasn't just a great "fantasy" artist. He was perhaps the best artist of our age. Blasphemy you say? Go let your hot air out. Frank's Art was, in my opinion, the best; plain and simple. The subject matter of Frank's paintings might not have been something Mom and Pop were going to hang in the living room, but his ability as a painter was unparalleled. When someone that great is alive when you're alive it inspires you as an artist, pushes you to do better, and when he's gone there is a real sadness. Frank- I never met you, but I idolized you from afar; rest in peace. Your art will always be alive and a testament to your greatness for generations to come. Howdy do everybody! Its time to post an update to Free Comic Book Day. We were late arriving to Comics Plus. Despite all my planning I forgot to go the route I had mapped out the day before to avoid the Iron Man Triathlon. I ended up zigzagging through town and getting pissed off at myself for being so forgetful. The event started slow but quickly speed up to a fever pitch. I did sketch card commissions all day long and got to chat it up with all the gang at CP. It was nice to see patrons asking for sketches of characters I've been doing in comics. Notice the Warlord and Scorpius cards to the left. I also noticed that there wasn't a single female character requested. Odd, but fine by me. I met some really cool people and became reacquainted with others I had met the year before. Overall the day was a great success. Fun for everyone old and young. Dave and Lisa really know how to run a classy operation and there patrons really appreciated it. In fact I didn't get home until 10 o'clock that night and dinner was my first meal of the day. I was running on my "fluffy" reserves. Here are some of the sketch cards I did for fans. Thank you everybody who was willing to wait for their cards because I only made it half way though my list. I hope you feel they were worth the wait. Tell me what you think in the comments below and see if you can't guess the name of the bottom card on the right. Also congratulations to Daniel Chapman for winning the drawing for a free sketch card and sketchbook. Daniel's card is the Night Crawler on the top left.